I wasn't sure what I was going to write about for my next Speedmonkey piece. I'd give almost anything for it not to be this, though. Motorsport is dangerous. That's what it says on the ticket when you go to an FIA event. And given the safety record since 1994, if you're a Formula 1 fan, it's all to easy to forget. 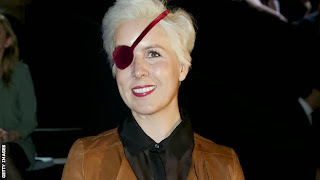 Fifteen months ago, though, we were reminded very clearly of the risks when, during a freak testing accident, Marussia's reserve driver Maria de Villota lost her right eye, and very nearly lost her life as well. This morning, her family announced that Maria had been found dead in her hotel bedroom in Seville, 'gone to join the angels' on the day that she should have been launching her autobiography Life Is A Gift. The Spanish press is reporting that she suffered a cardiac arrest after complaining of a severe headache last night. At times like this, with the shock of the news so fresh, it's easy to concentrate on what we know best about someone. Maria de Villota was Marussia's reserve driver, the daughter of Emilio de Villota, the woman whose injuries meant that she would not be able to reach her goal of becoming the first woman on an F1 grid since Lella Lombardi lined up alongside the likes of James Hunt and and Emerson Fittipaldi at the 1976 Austrian Grand Prix. But de Villota, who started out in karting as a teenager, also took part in Formula 3, Superleague Formula, World Touring Cars, the Grand-Am 24 Hours of Daytona, and off the track, campaigned tirelessly for road safety. It would have been understandable if, after an accident that ended any chance of her actively competing, Maria de Villota had chosen to walk away from motorsport, but instead, she just channelled her formidable energy into recovering as fully as possible and remaining fully involved with the sport she loved. Rather than choosing to recover out of the spotlight, she returned to public life just three months after the accident, her long hair replaced by a peroxide crop and her missing eye covered by a brightly coloured patch. She would become a familiar sight around the F1 paddock, her eyepatch coordinated with her outfit and rarely seen without a smile on her face. It has been noticeable that the tributes from her fellow drivers focus on her spirit, her happiness and her zest for life. "Before, I only saw F1, I saw myself in a car competing. I did not see what was important in life, the clarity to say: 'I am alive'. "It has given me my bearings, given me back what's important. I accept it with the energy to say I am going to live out this chance 100%." Sadly, that chance was not to be a long one, but she certainly packed a lot into her final year. Alongside Monisha Kaltenborn and Susie Wolff, she was a passionate ambassador for the Women in Motorsport Commission, promoting women's participation across the full spectrum of motorsports and providing an outstanding role model for all those fighting to overcome adversity. She poured her energy into motivating others, and today had been due to speak at a conference entitled 'What Really Matters'. And in July this year, she married her long-term boyfriend. Of all the things she did, it seems that what she was best at was living – really living. Written on 11 October 2013, when Maria passed away.